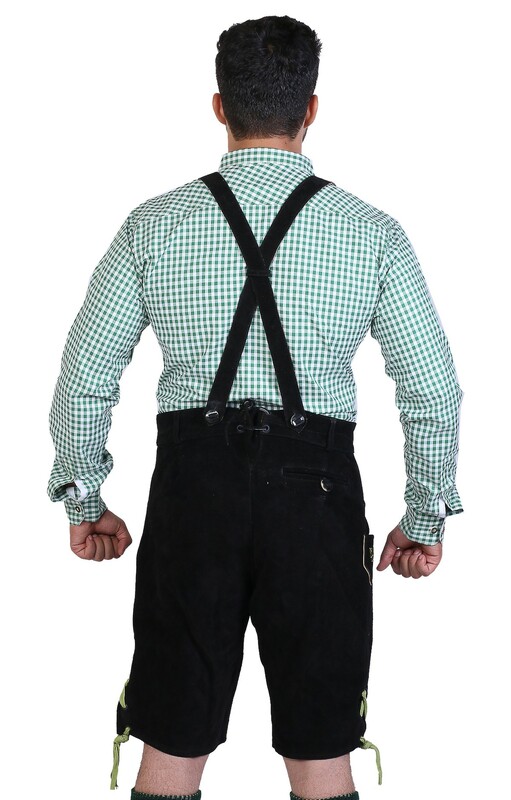 These short lederhosen in Black Green are made from 100% suede leather. 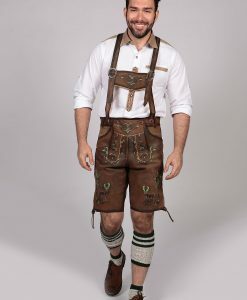 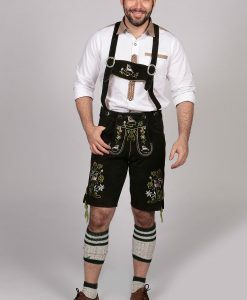 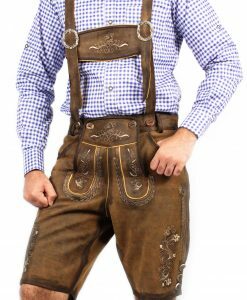 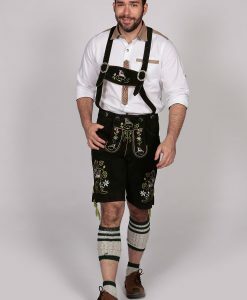 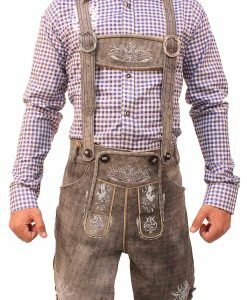 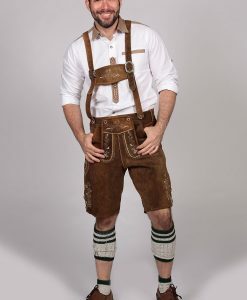 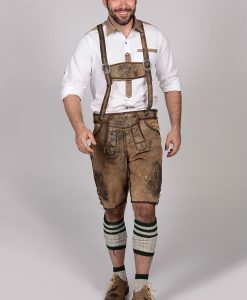 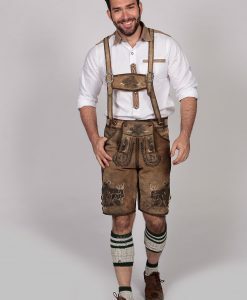 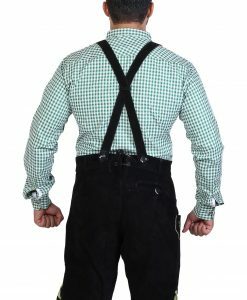 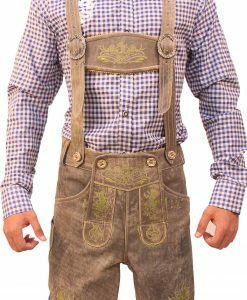 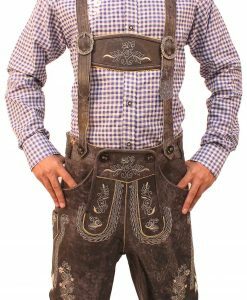 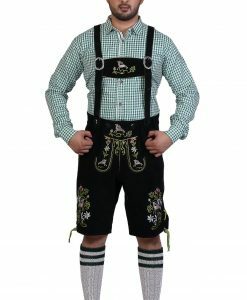 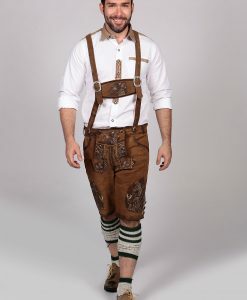 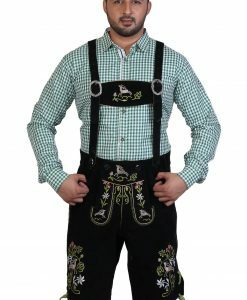 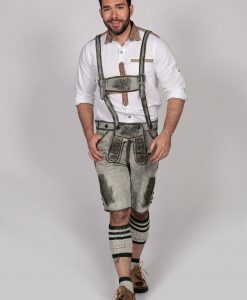 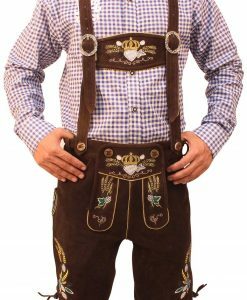 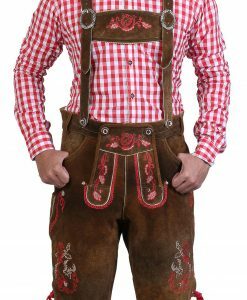 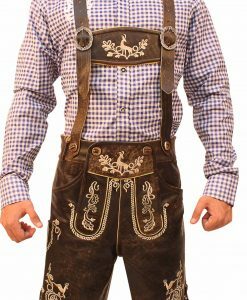 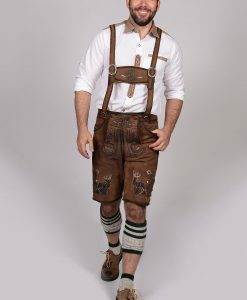 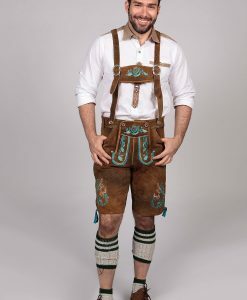 The black that never goes old is here for the traditional German lederhosen fitted with H-shaped braces and silver buckles on lederhosen suspenders for optimum adjustment to height of the Bavarian men. 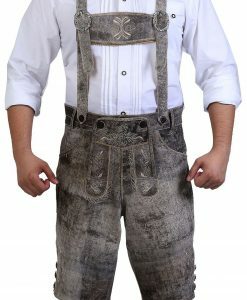 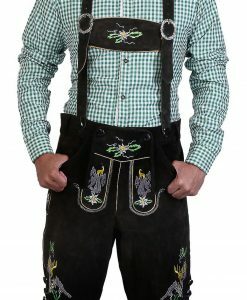 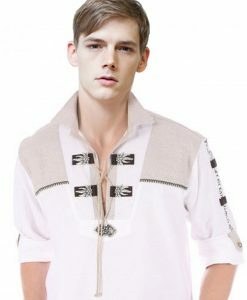 The trachten menÂs lederhosen feature black buttons on the front. 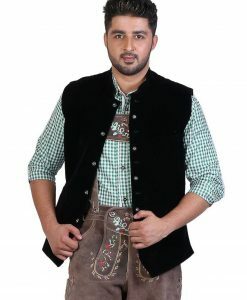 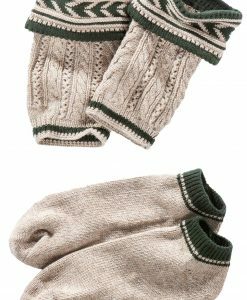 The pockets on the sides, the flap at the front, and bib are decorated with delicate green, white and red embroidery, and a motif in white. 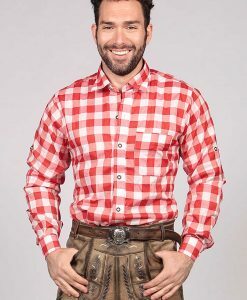 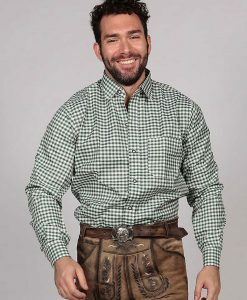 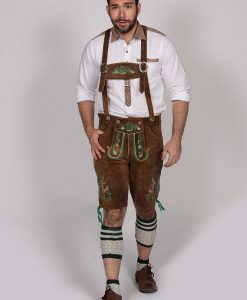 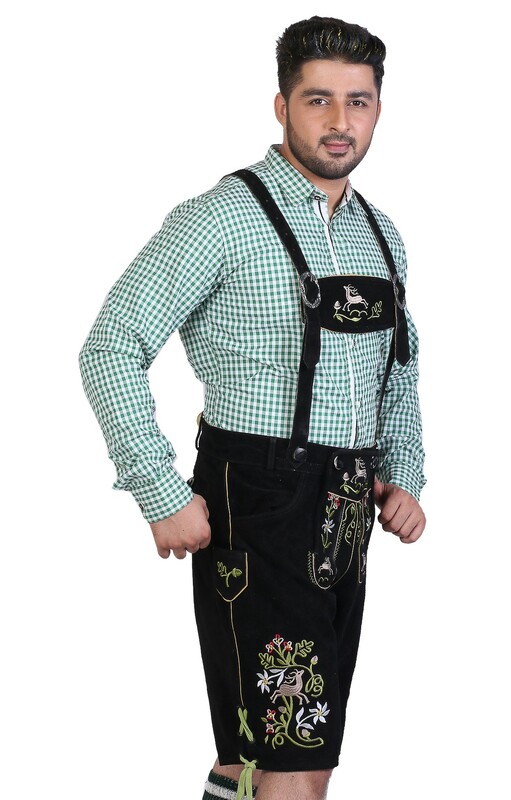 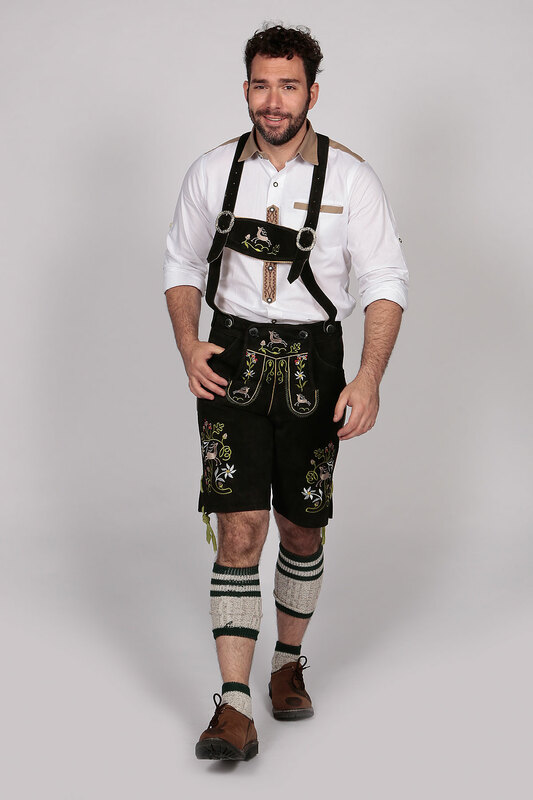 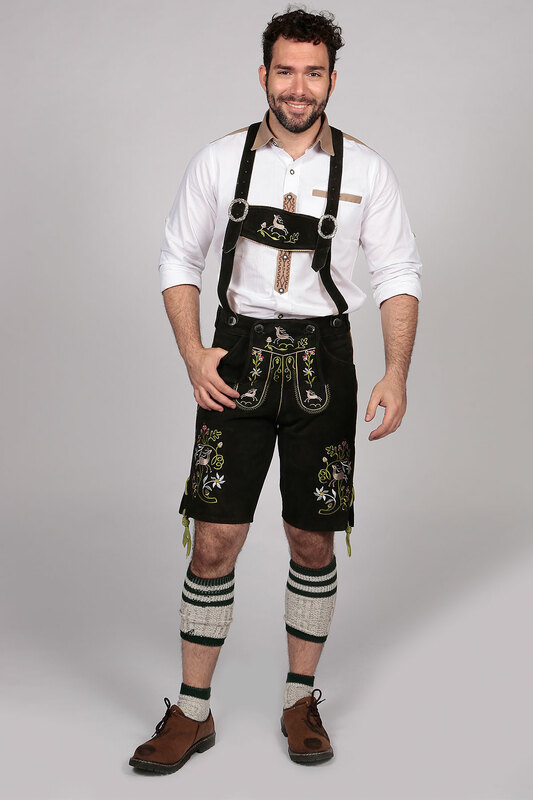 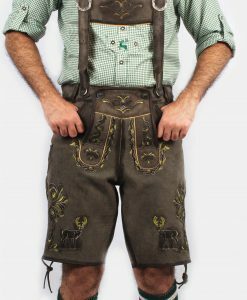 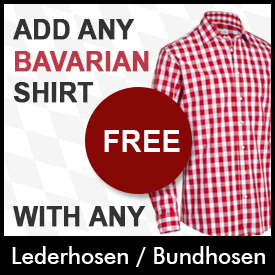 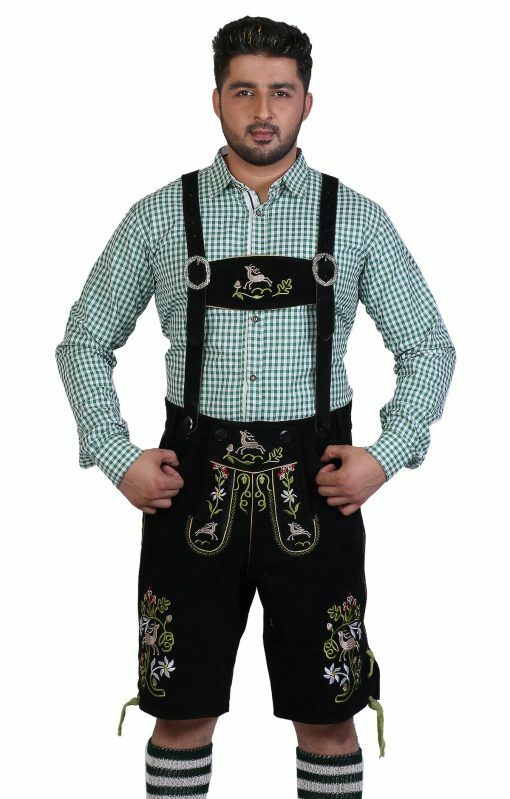 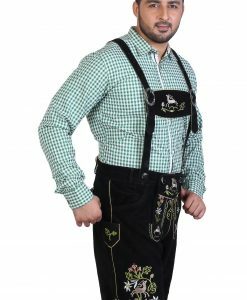 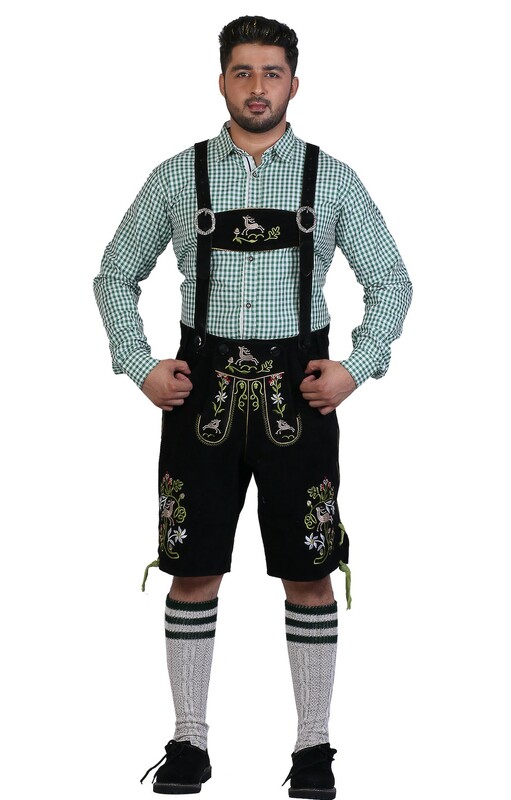 You can pair the Bavarian lederhosen with a green tracht shirt, both available online-these black green shorts are versatile and enduring, a perfect garment for celebration radiating happiness!